The Harvard Law Society of Illinois is one of the most active alumni chapters of the Harvard Law School Association, serving over 1,500 alumni. 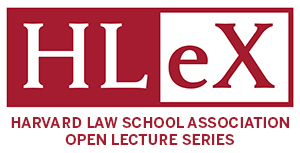 Our mission is to provide educational activities, stimulating speakers, networking opportunities, and social events to HLS alumni in Illinois, and to foster a continuing sense of community many years after we leave the Harvard Law School campus. We hope you stay connected by attending our upcoming events below. The Harvard Law Society of Illinois is in the process of developing new programs, volunteer leadership roles and strengthening alumni offerings. Interested in more info or looking to get involved? Help us to build a better Harvard Law Society of Illinois. Let us know what you, as HLS alumni living in Illinois, would like to see from your local HLSA Chapter. Speaker events, networking reception, casual happy hours?